The hotel has been entirely renovated in 2015. 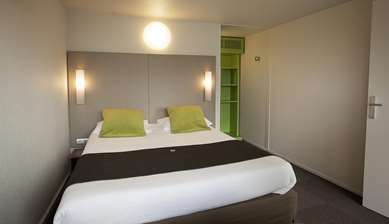 The Campanile Hotel Melun Sénart - Vert Saint-Denis offers the perfect balance between price and quality in a practical location, making our hotel an excellent choice for anyone staying in Ile-de-France. 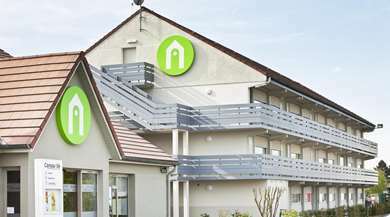 On the edge of Vert Saint-Denis, to the north of Melun, in the south eastern suburbs of Paris and 40 km from Paris city centre, our hotel is within easy reach of the A5 motorway and other main roads towards Paris. 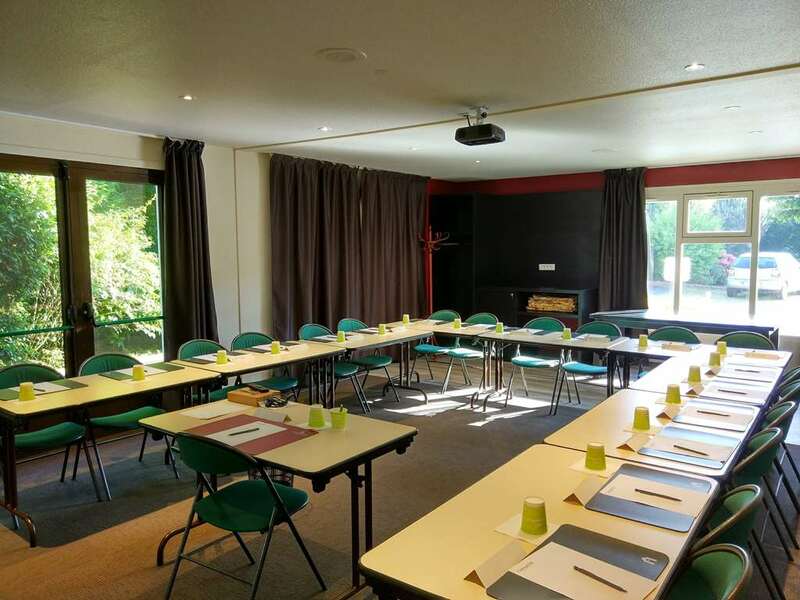 Your Campanile Hotel Melun Sénart - Vert Saint-Denis is the ideal place to start a variety of days out, such as a visit to the Vaux le Vicomte and Blandy les Tours castles, or a walk in the Bréviande or Fontainebleau forests. Spend a day at Disneyland Paris, within easy reach of the Hotel by car. We have a conference room with capacity for 16 delegates and free Wi-Fi. It is equipped with a video projector and can be hired for just €30 a day, including coffee on arrival for all attendees. 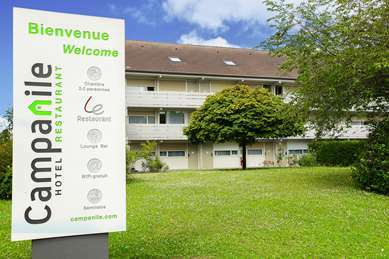 Our hotel in Melun Sénart - Vert Saint-Denis is open from 06:30 to 23:00 during the week and from 07:00 to 23:00 at the weekend. It has 48 spacious and bright rooms. Your room features tea and coffee-making facilities, so you can help yourself to hot drinks without leaving your room, a television with satellite channels so you can relax with a good film or keep up with the sport, and a direct-dial telephone and Internet connection so you can stay in touch with friends or colleagues. There is also a bathroom with hair-dryer. The room features the latest technology to make your stay as relaxing as possible. 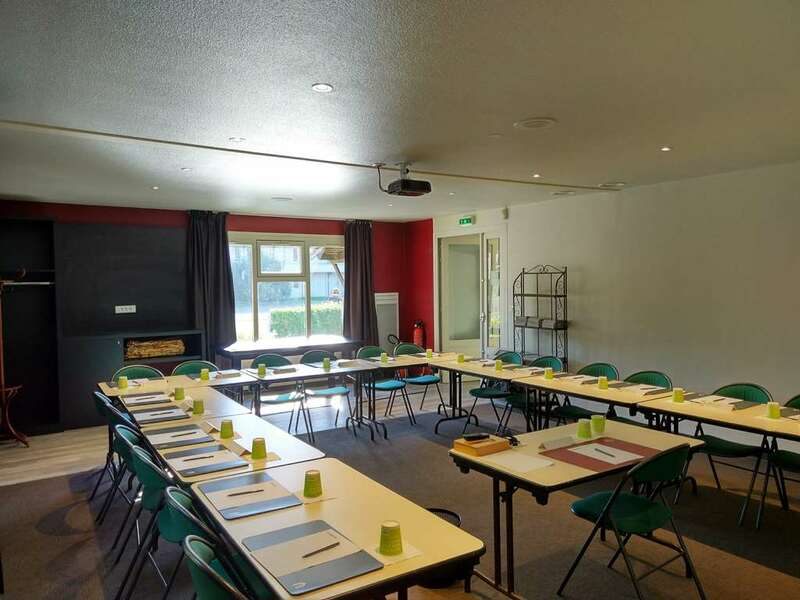 We have double, twin, triple and even quadruple rooms, with the option of an extra single bed and an interconnecting door: choose the room which is right for you! You can of course have a non-smoking room if you prefer. Note: some rooms have been specially adapted for disabled guests or guests with reduced mobility. The hotel's restaurant serves a continental breakfast and traditional French cuisine. Relax in our lounge, which has a large television and a terrace.